Good evening everyone! I hope you are all having a wonderful hump day! 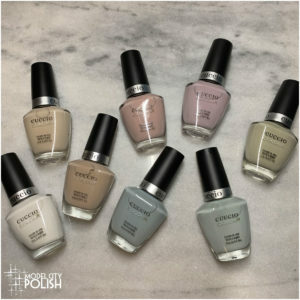 Christmas is almost here and it is time for me to share another 12 Days of Christmas Nail Art Challenge from the Challenge Your Nail Art Group. Today’s manicure is for the Christmas Cookie Challenge. 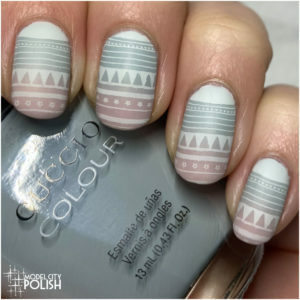 I decided once again to try out some nail decals and with the thanks to the uber awesome Krise, I had a mostly successful attempt! 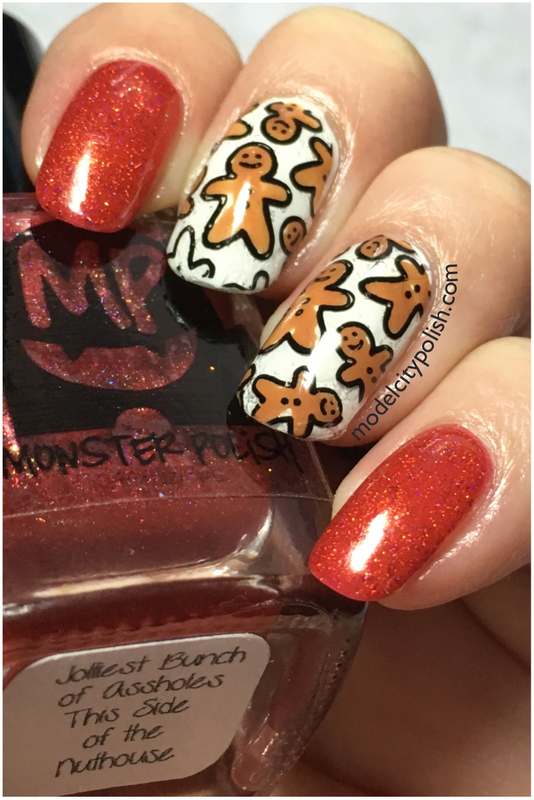 For my Christmas Cookie nails I started with Monster Polish Jolliest Bunch of Assholes This Side of the Nuthouse, a gorgeous red holo that I received this week as a gift, and OPI Alpine Snow. 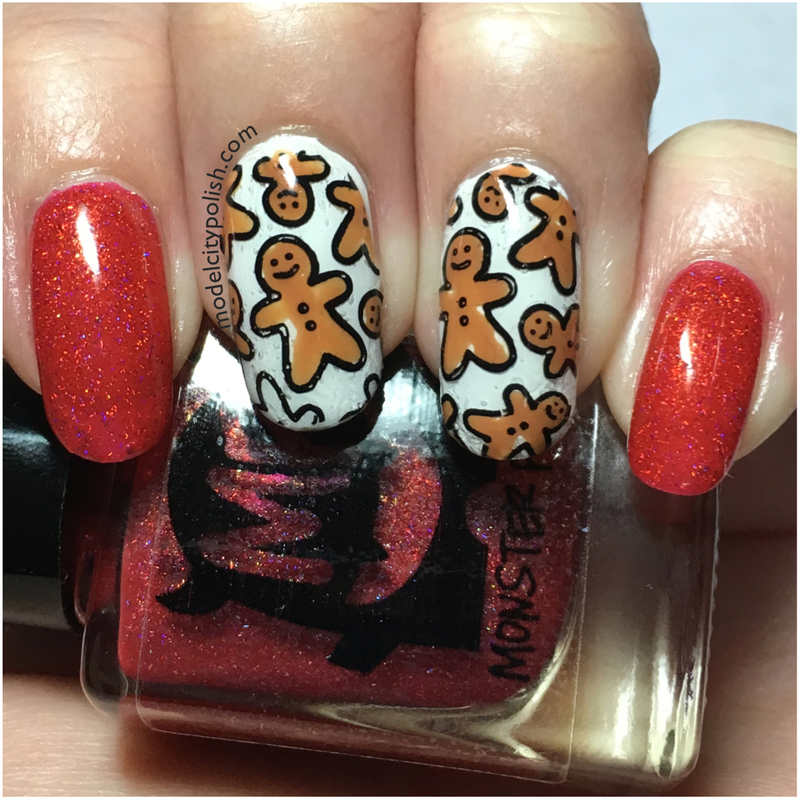 This Monster Polish is the perfect red with the right amount of sparkle to brighten any day. 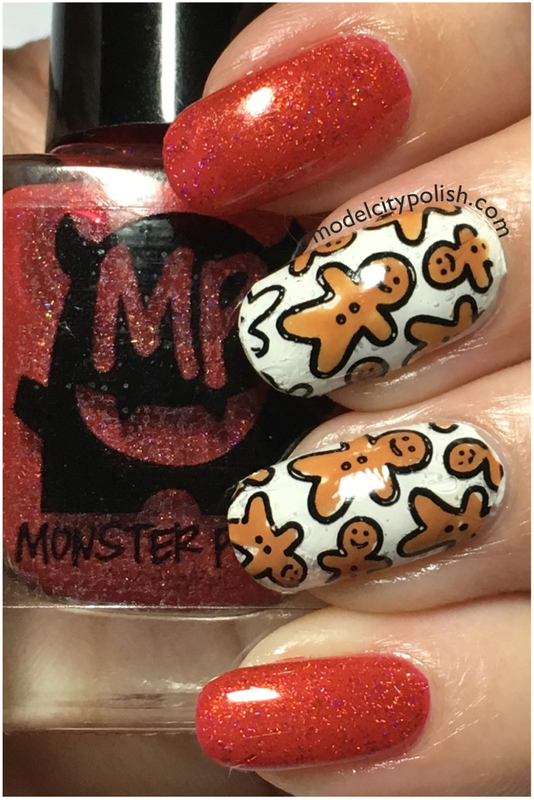 Next I used my Uber Chic Mat, Uber Chic Christmas Plate, black stamping polish from Moon Nails Supply, and China Glaze Desert Sun to create some cute gingerbread decals. Things I learned this go around for my decals…..thin layers of clear in the beginning and end. I ended up with a LOT of bubbles, but to the necked eye, they aren’t noticeable. 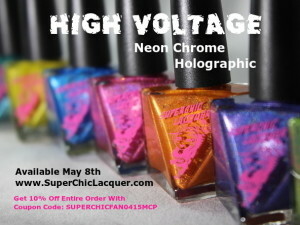 I sealed everything with a good coat of SuperChic Lacquer Liquid Macro Top Coat. So what do you guys think of my Christmas Cookie Nails? 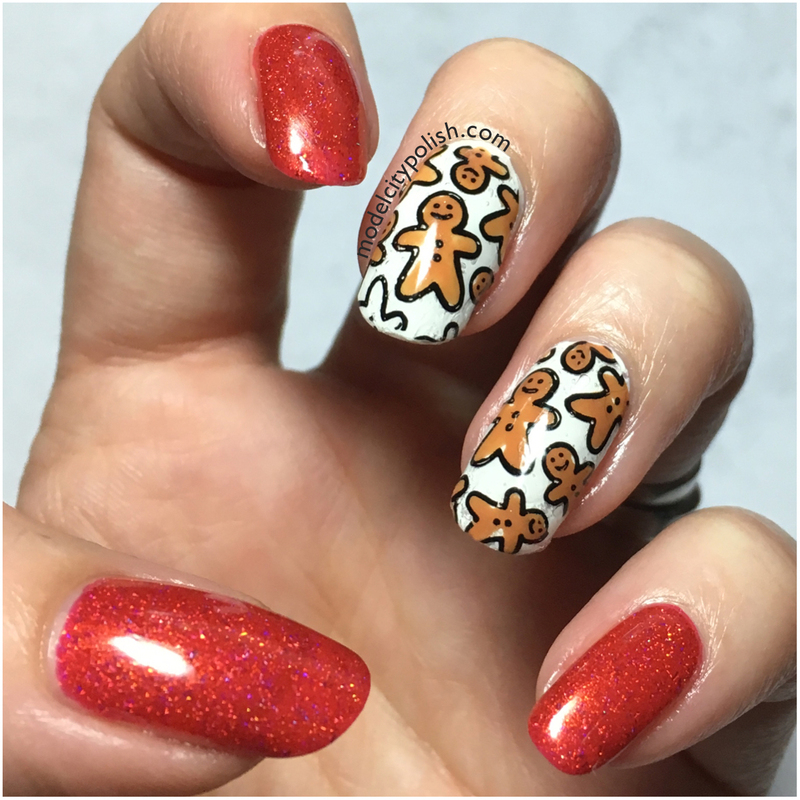 I am loving the gingerbread men!!!! I look forward to trying out more decals and hopefully perfecting my skills. 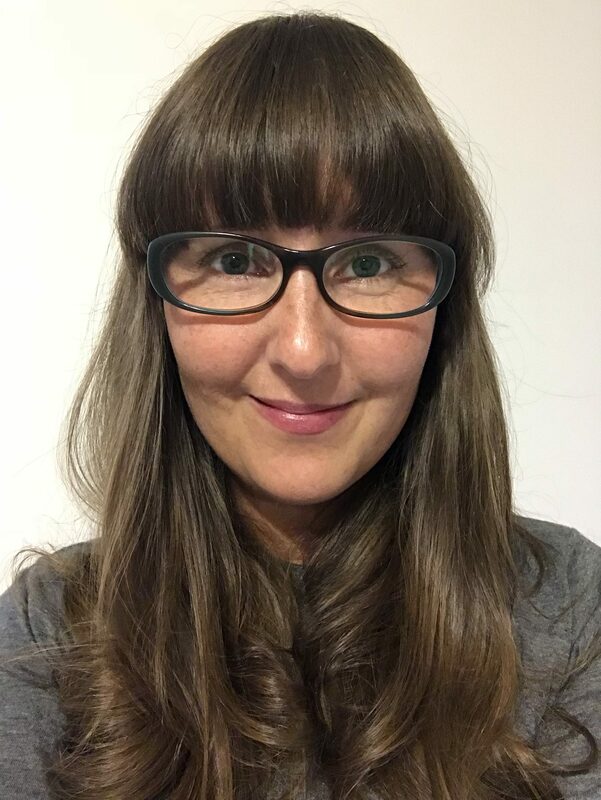 Please take a moment to scroll down and visit the other amazing bloggers taking part in the 12 Days of Christmas Nail Art Challenge. I look forward to seeing you all again tomorrow.